Interpreting of the speech of a speaker simultaneously to listeners into a different target language other than the speaker's is a challenging job that requires special techniques. No need to say speaker continues to enjoy feeding his/her listeners by wider statements at the same time when the interpreter is giving his/her best to transform the former statement with no time to stop and think or enjoy a mistake or turn back to correct if any. Simultaneous interpreters are experienced language professionals who are bilingual linguists and receive special training. Simultaneous interpreting is widely user in conference meetings and the the conference room is equipped with special technical hardware beforehand for such a service. 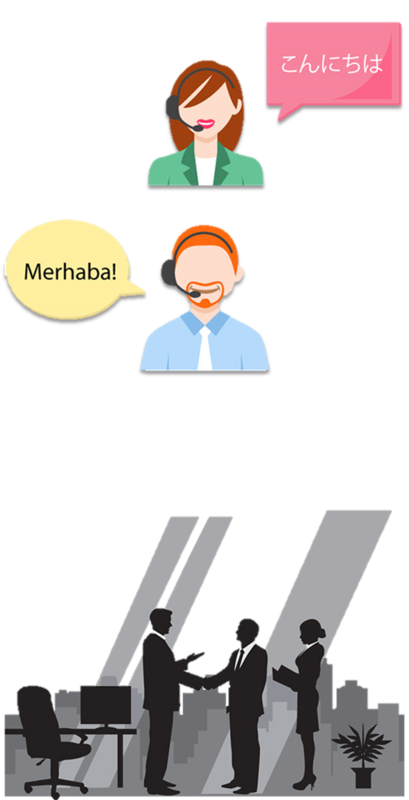 Referans Translations provides simultaneous interpreting services in all over Turkey and Europe by senior professionals at reasonable rates. Interpreting the speech of a speaker right after he/she completes his/her sentence is called consecutive interpreting where the interpreter listens to the speaker and takes notes to transmit his/her speech sentence by sentence to listener(s) when the speaker interrupts. Interpreting training is provided mainly in the Departments of Translation and Interpreting in universities where students learn how to take notes of a speech. Interpreting a written text is an early step for students of interpreting. Consecutive interpreting and simultaneous interpreting are two highly challenging applications of the business. Consecutive interpreting is usually applied in short meetings where speaker speaks in a different language other than the listeners, factory erections, technical/user training sessions or confidential meeting sessions. Because interpreting is carried out instantly with no chance to correct in case of an error, interpreting professionals are highly experienced professionals with full command of both source and target languages and a high memorizing capacity. Referans Translations' professionals have vast experience of consecutive interpreting in business meetings, visiting trade groups, presentation of economical, educational, etc. concepts in all parts of Turkey and Europe.